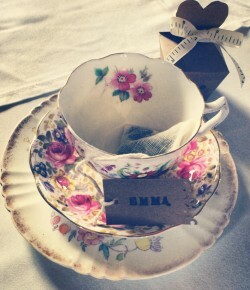 We love a great cup of tea here at Vintage Rose Catering. Depending on what you are eating should determine which blend and flavour of tea you drink, just like a good wine with a certain meal. We can advice our guests what type of tea to drink with their afternoon tea if they wish. To accompany our Lemon drizzle, Citrus loaf cakes, Orange cakes and all citrus bakes we usually choose Earl grey – a delicious blend of Bergamot and citrus undertones, it enhances every mouthful. Whereas if you were enjoying a plain sponge say a madeira cake or an American pound cake a Darjeeling would be nice or a Breakfast blend. Our afternoon tea blend is lovely alongside our carrot cakes or anything frosted and creamy based. We stock over 15 regular teas and invite our visitors to taste these during their afternoon tea experience. As with a lot of things we often stick to a favourite but this is a great way of tasting new blends and enjoying ones that you wouldn’t necessarily have purchased before.